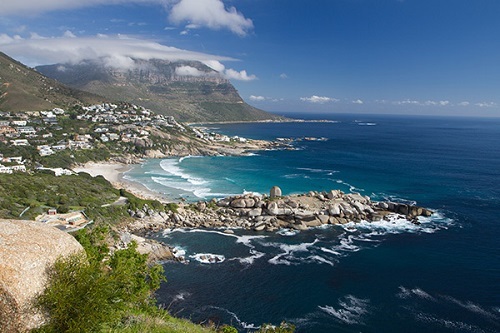 Jeffrey’s Bay, South Africa was first made famous as a world-class surfing spot by the 1966 film The Endless Summer. More recently it was a shark attacking Australian surfer Mick Fanning during the JBay Pro that returned its name to global interest. Most surfers will only know it for one thing however, and that’s the amazing right break waves that it churns out. A trip to the tip of Africa to visit this paradise makes for a radical journey, and we’ve got just the details for the perfect adventure. South Africa has many scenic places, but none more so than Cape Town, which just so happens to be the city you’ll need to fly into. The location that plays host to Table Mountain and Robin Island lies 700km away to the West of JBay, but serves as the perfect starting point to your African adventure. Grab a room in a backpackers anywhere close to Long Street, and probably rent a car: public transport in SA is useless, plus you’ll need to get your board around. Try Rentacheapie or Renta-VW. There’s plenty of awesome surfing spots around Cape Town, so use your rental car to drive the coastal road around the city and explore. Names to look out for are Llundudno and Sandy Bay. Also head out to Muizenberg and check out the surf scene. There’s plenty of surfing schools lead by old timers who ruled the waves in days gone by. They always provide stellar tales and are good company for a few beers and maybe a braai (barbeque). Obviously the point to this trip is surfing, but like all cities Cape Town has a never ending array of attractions that could keep you there for weeks. If you’ve ever watched some nature shows on sharks you might have heard of False Bay, which serves as a mighty breeding ground for Great Whites. There’s tours that can get you up close and personal with these beasts, either sitting on a boat or diving in a cage. Even if you don’t drink wine why not check out the winelands? There’s plenty of tour groups that can be organised from backpackers, and you’ll always meet some cool people. The V&A Waterfront is also worth a visit, purely for the amazing restaurants and tourist memorabilia you can buy. Cape Town nightlife is pretty unique. There’s a real melting pot of cultures that all gather together, with Long Street being the most popular for big parties. If you like hanging with the classy folk then head out to Camps Bay, which is all about cocktails and fancy cars. A great vibe can also be found at GrandWest Casino. Besides all the regular gambling activities, Grand West is also home to the city’s premier live music arena which always has some famous acts passing through. Despite the increased popularity of online gambling at web and MobileSlots.net, the casino floor is heaving every night of the week. Try not to spend all your money in Cape Town, as you’ve still got a 700km road trip to JBay and then back again. To get this going you’ll need to head out east of Cape Town on the N2 highway and beeline it for the town of Mossel Bay. If you want to take in a few sights along the first day then pull off in Hermanus for lunch, as it’s a quaint town with a ton of character. Mossel Bay Backpackers will be your best bet for a bed, and staff there will probably suggest you check out Outer Pool surf spot. Day 2 on the road will be better for taking your time and stopping off for some waves. Victoria Bay is a sweet deal for some epic breaks, and is quite close to Mossel Bay for an early morning mission. 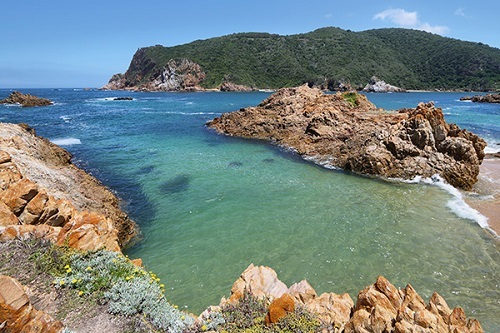 You’ll also drive through Knysna on Day 2 which will grab your attention with its massive lagoon and heavenly lunch spots. 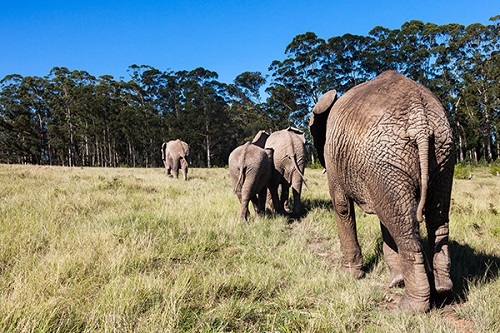 Knysna also has a pretty amazing Elephant park with you’ve got to see, not only because the elephants are incredible but also so you can get those African photo shots in. Spend night 2 in a town called Plettenberg Bay (Plett), where you will have a wide selection of beach bars and backpackers to have a good time at. Lookout Deck and Restaurant is always a winner. JBay will be in your sights now and aim to arrive there on Day 3. You might want to stop off and bungee jump which could take some time, depending on your bravery. Bloukrans Bungee Jump is the highest bridge jump in the world and takes some serious minerals to get done. After Bloukrans bridge comes the town of Cape St Francis, which lies just before JBay. The little coastal town has some really amazing waves, so if you’re patient then why not check them out? However, you are right at your destination, so don’t feel bad if you’d rather push on through to JBay. Finally, after countless hours of planes, kicking up Long Street, gawking at sharks, wandering with elephants and plunging into the rocky abyss, you find yourself in JBay. Its best to first get settled in. Jeffreys Bay Backpackers is a swell nook and very festive, even attracting locals to the bar. Mexican food evenings are quite famous at this digs, and there’s never a shortage of beer. Cristal Cove is also an option, mainly for its close proximity to Super Tubes (one of the best right hand point breaks in the world). However, you came all this way for one thing; to get on those waves. 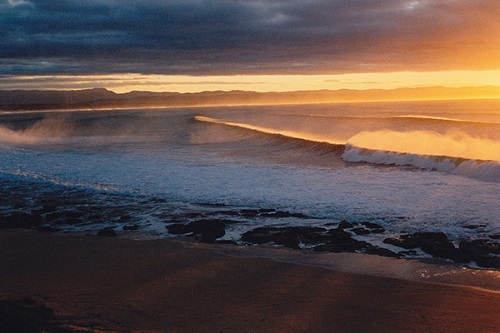 J-bay offers a more than six different surf breaks on one coast, all almost as good and unique as each other. Bone yards and magna tubes were personal favourites, simply due to less crowds and solid barrel sections. But once you’re there just try them all. All the rumours will ring true once you drop in and glide along that right hander. You’ll need to spend a minimum of four days in J-Bay exploring and finding the spot that works best for you. Along the way you might have met a crowd that could rope you in for a longer stay. There’s just one thing along this whole trip that Mick Fanning would give advice on; keep an eye out for those pesky sharks. This entry was posted in Africa, Surfing, Travel, Water Sports and tagged Jeffrey's Bay, South Africa, Surfing, Travel Guide. Bookmark the permalink.